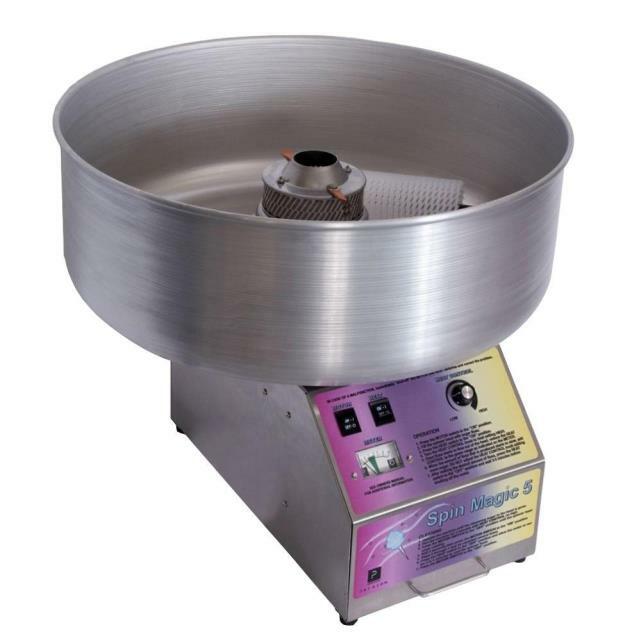 Standard counter-top Cotton Candy machine. 26" floss bowl with 1000 watt motor requires dedicated outlet. Floss sugar sold in pink or blue cartons which will serve approximately 40 - 50 guests. Cotton Candy floss cones sold in packs of 50. * Please call us with any questions you may have about our cotton candy machine rentals/sales in State College, serving Central Pennsylvania.